When approached to create CQ Painting’s logo, the client made it clear that the final product was to portray a clean, simple and professional concept design. We focused on a vibrant icon design that was easily identifiable upon first glance . 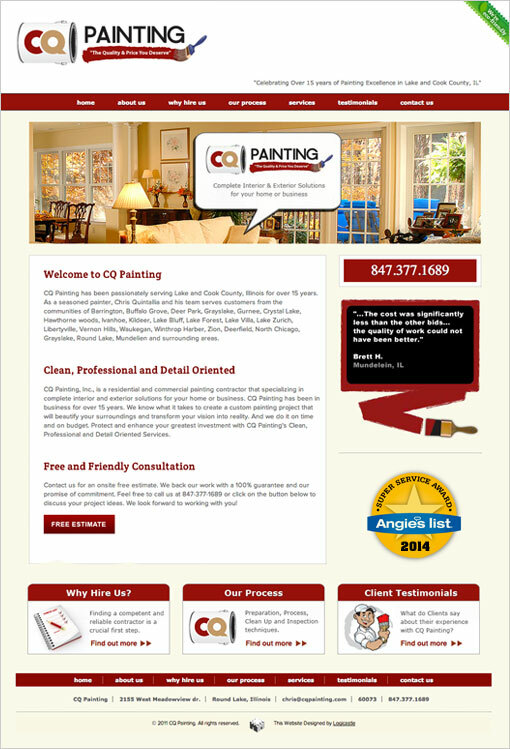 CQ Painting requested a modern, clean and professional website with a sense of “character”. Although the business was already well established, the owner wanted a website to help increase sales prospects, convert visitors into clients and help CQ become a painting company leader in the Lake County, IL community. Logicastle is boutique digital marketing agency near Chicago, IL with a focus on web design, strategy, identity and print.